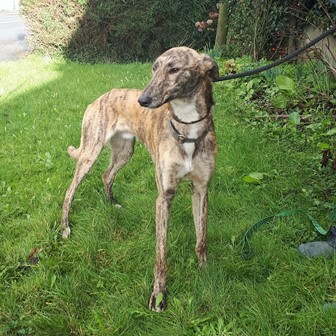 This beautiful brindle boy is Rowan, he has come on leaps and bounds since he has been with us. 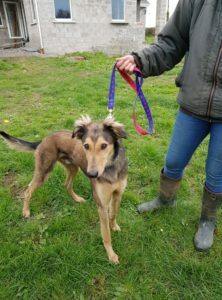 Rowan came to us from Kerry Dog Pound, we are guessing he under a year old as very puppy like in his ways, loves zooming around the place! 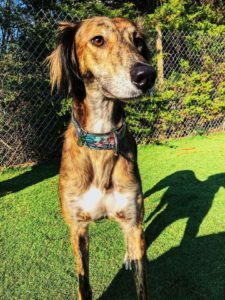 He gets on well with all dogs but as he is a lively pup, another playful young dog as company would suit him much better. 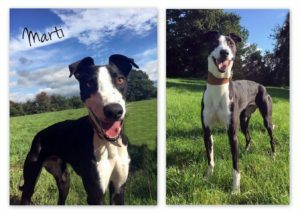 Rowan is in kennels and would need time to adjust in a home and some help with house training but he is pretty clean in his kennel. Rowan does have a high prey drive, so a home with cats, poultry, rabbits etc would not suit him. 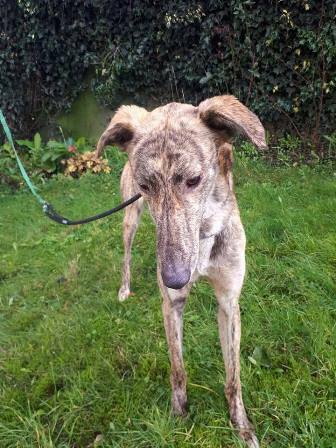 Rowan will only be rehomed as a family pet, our dogs are not rehomed to be hunting dogs. Rowan is fully vaccinated, microchipped and is being neutered next week. If you would like to find out more about Rowan, please contact Hart. 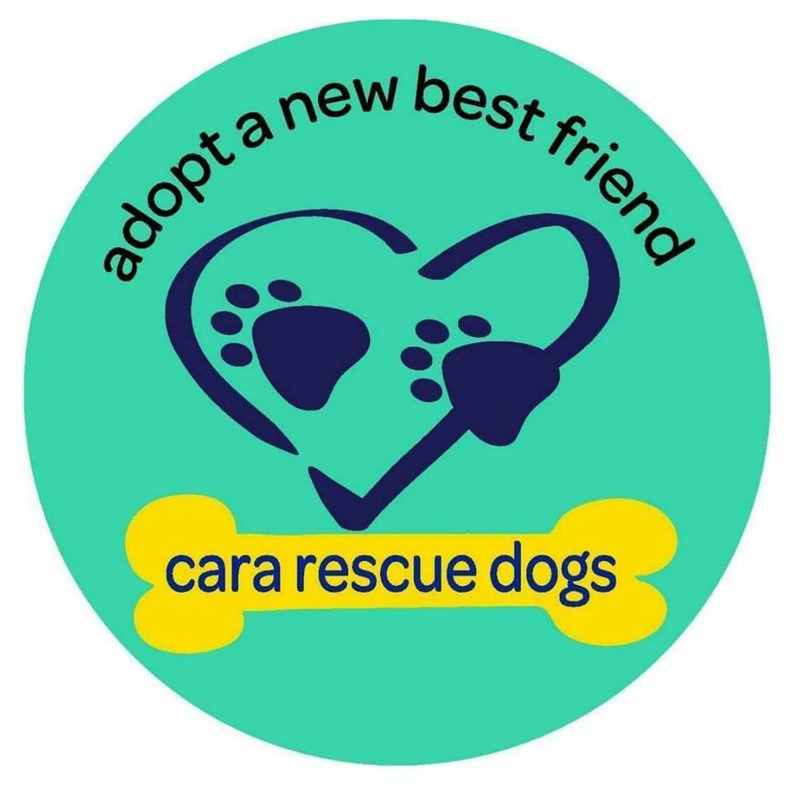 Home visit and adoption fee apply.